Again Warner Bros have been kind to the Gotham fandom. 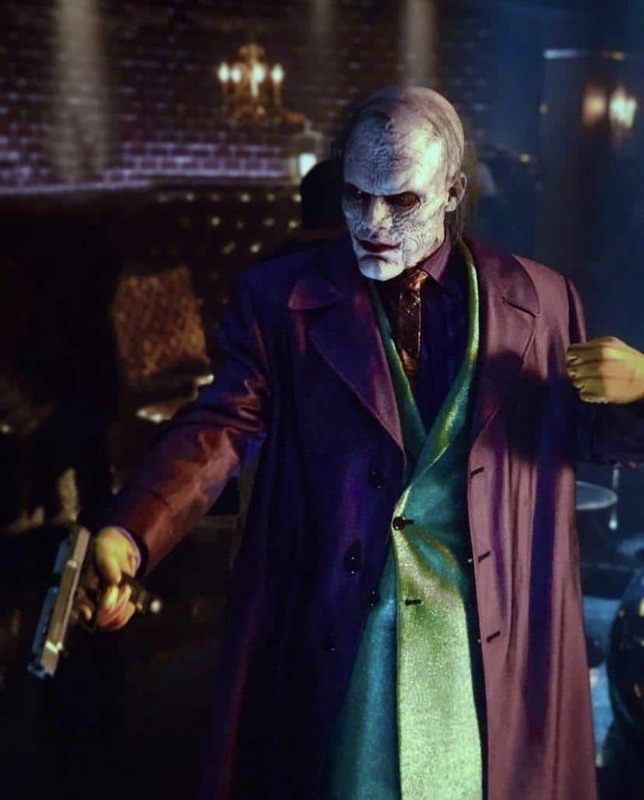 We finally have a look at the final look of Mr J.
I am actually lost for words in just how awesome Cameron Monaghan looks as Gotham’s Mr J. Gotham is known for their fantastic teaser trailers and I highly recommend you watch it a few times. The one thing that we have been discussing amongst the DCworld team members is that Jeremiah/Mr J has a batarang through his hand! And the colours of purple and green for his clothes are spot on. My personal highlight of the teaser trailer is the quirky songs that Gotham use, on this occasion it’s “I feel pretty”. 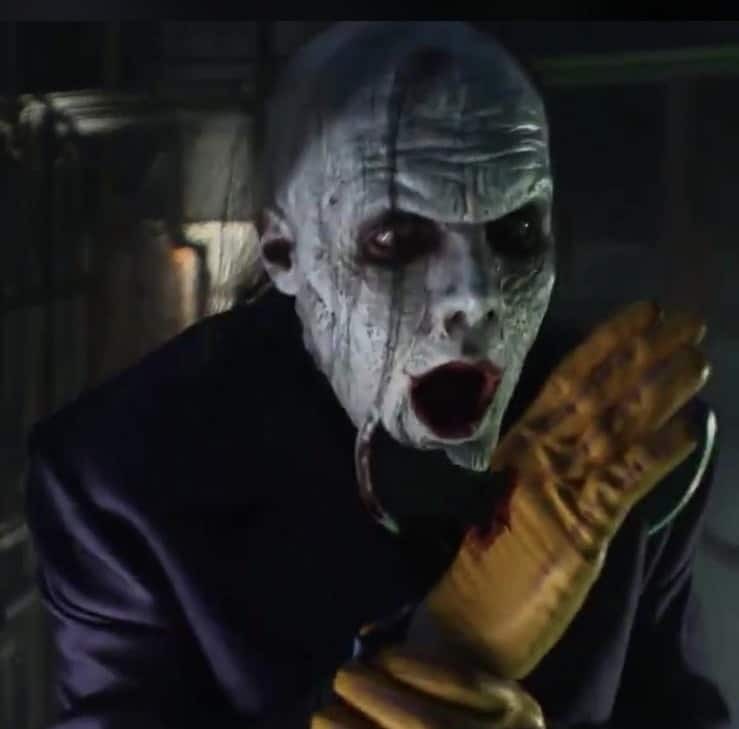 The song takes us into Arkham Asylum where Jeremiah is sat alone and he is drooling, it’s disgusting but it’s so Gotham. The inmates of Arkham as always just carry on like its a normal day. 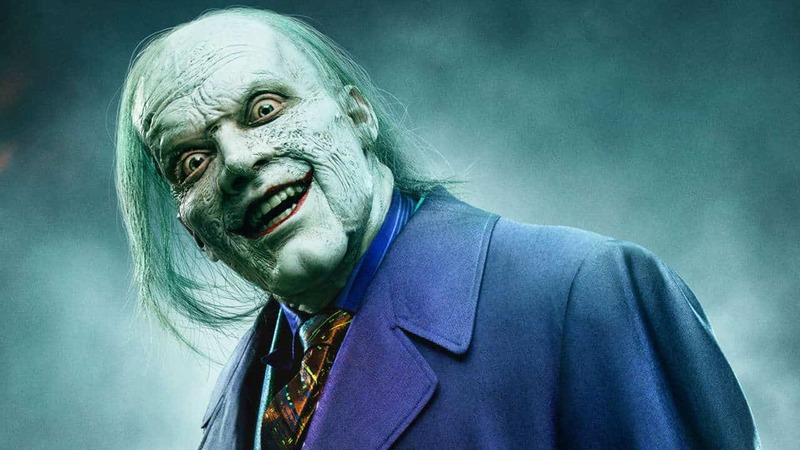 With TWO episodes left one thing for sure Gotham is not holding back on the creativity of Gotham’s Rogues Gallery.